In January 2015, I went for my first run. Ever. I ran, stopped, walked, and questioned myself. I really wanted to prove MYSELF wrong so I tried it again, then again. Suddenly, I kept running - mainly because I told myself for so long I would never be able to run. But, fitness saves me, and I love a challenge so I went for it! As I ran more, I felt stronger - mainly mentally. It felt so good to run, especially at this point in my life. I signed up for my first run - a 10K in February of the same year. Since that race, I have completed multiple 5K races, another 10K, and I will complete my first half in March 2017. What is happening to me?! 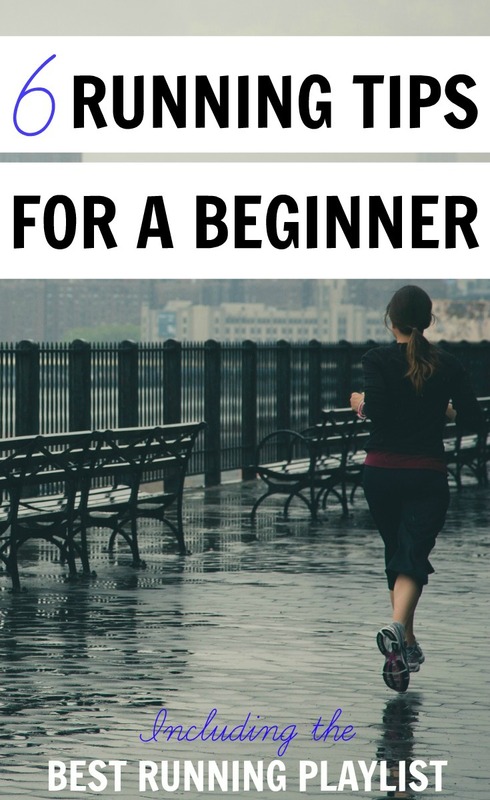 I am definitely still a novice (and in no way am I fast), but I wanted to encourage ANYONE who is thinking of hitting the pavement with these SIX running tips for a beginner. Stay tuned for some jams to get you moving, too! I have this plan saved on my phone's home screen. I also used Hal Higdon for my first 10K. Since I am not an everyday runner, I complete a 2-3 warm-up walk then pray run. Usually, I go a mile then take a minute for a short, brisk walk before going again. When I followed this practice last time, I noticed my pace strengthened after each break. Research a nearby 5K for your first race then find a training plan. Having a goal for me was all I needed as motivation. Really, just follow what your body says. Stop when you need to, breathe, then keep going. Don't worry about mileage - focus on time or a landmark. Set a goal for 20 minutes and see what you can do. Or, claim you'll make it around your neighborhood once before stopping. Everyone has to start somewhere. Even if your pace is slow (like me), you are still doing great! I have used multiple running apps, but I do love Map My Run best. Here, you can sync up with other runners and cheer them on! Fitness has always been successful because of the encouragement I receive from others, so I like that I can share my progress. This app also saves your runs so you can see pace, mileage, and time over time. My other favorite is my arm band that fits securely on my arm. I have tried running belts, but I like to be able to change music or check my status just by glancing on my arm. I'm also loving this headband - I have tons of fly away hairs, and I cannot stand when even one is hanging in my face. This Under Armour accessory fits perfectly to your head without being too tight. Oh and my new kicks, how I love thee! After months of hesitation, I got fitted at a local running shop. I tried on over 10 pairs with the attention of a professional. These little beauties make me feel like there's a spring in my step - not to mention the comfort! I could not do this alone. When someone is at my pace, I like having them next to me. That is exactly what I did in February 2015. We both stopped at the same time without worrying about pace/place. We just wanted to finish - first or last, it didn't matter. But, on the flip side, if you have advanced running buddies, get their tips. When I run my half, I am doing it with my cousins and nephew They are faster than me, but the thought of them meeting me at the finish line will push me even harder! NOTHING makes me run faster than good tunes pumping through my ears. I've put together this Spotify playlist - RUNNING THE HALF. It's been my running jam this training session. There's a little bit of everything - from praise to rock to some dancing jams. 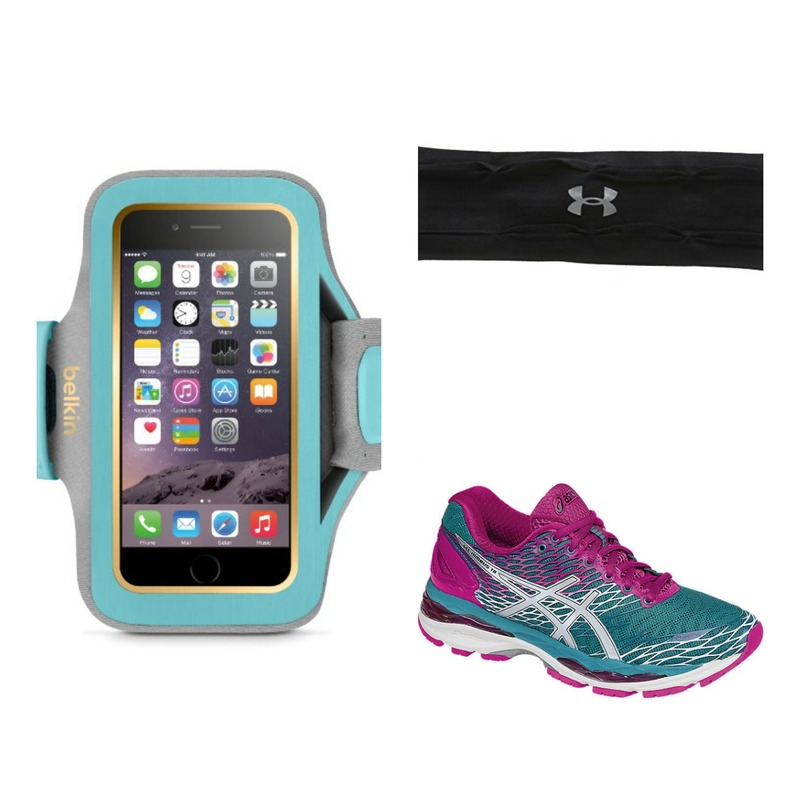 A perfect mix for your run. 6. Know You ARE A RUNNER. Just because I started running in my late 30s, I am a runner. Just because my pace is pretty slow (let's say advanced aerobic walking :) ), I am a runner! The things we can do with our bodies - no matter our age or skill - are pretty awesome. Kudos to all of us who use the benefits to running to make us better. If you are a runner (from novice to pro), I'd love to hear your tips/advice! Thank you for the tips and inspiration! My hubby is a runner. He has done several half marathons and always wants me to join him. It exhausts me just thinking about it :). Congrats to you on your success! Thank you! I'm not sure I could do a half - that's so scary to me! But, you never know. Best wishes to you - that's great that your hubby has some experience! I am a runner too and this is great advice, thank you. Wonderful advice. Yes, you are runner no matter what. I like how you mentioned to have a small goal in mind, such as once around the block and build from there. So important to drive yourself. Yep! That's where it all started for me! Thanks for reading! These are great tips! I used to run very frequently a few years ago, even did a handful of 5ks. It can be very defeating to try and get back into running (or start in the first place) when it doesn't feel easy. For me, it takes a while for running to be fun, so these are great suggestions to tolerate the easing back in until it feels fun again! Thanks! It took me YEARS to see how much it helps me. It's still not easy, but it helps me mentally more than anything. Thank you!! I love hearing that from a experienced runner! I hear you! I learn something new each time I go. I think I will be a beginner forever! Love this post! I can't wait to start running again! I have been wanting to get back into running for a WHILE!!! Music always gets me pumped up! Agreed! I love this one! This is great. I completely agree that a playlist is a must. I have playlist for just about everything. I love this SO hard!! The hardest part is knowing you're a runner! So much of my beginning runner experience was psychological! Thank you so much! I completely agree - I try and turn off that negative voice each time. And go you for signing up for a half marathon! We're doing our third in March and I'm so excited :) I'm actually starting a mini series on my blog on Monday with half marathon tips that you should check out (www.happilythehicks.com). Good luck on your race! You're going to do AWESOME. I just read your post today!! I loved it so much. Thanks for encouraging me - it means so much. I used to run a lot before I had my son, but ever since then I've been afraid to get back into the routine because I didn't know how to do it. (I started running when I was young and don't think the 'just run' thing works anymore.) These tips are great! I especially love the routine, it looks like I can actually follow that. Yes! The routine is so doable - especially for a busy mama! These are great tips! I have been running for a long time and I still do a lot of these things! Oh I am so glad to hear that! Thanks for reading! Yes for the playlist! Love these tips, I am definitely also a slow one but i am a runner (kind of right ;)). Thanks for linking-up on Working Mommy Abroad girl, sharing your great post! Thanks so much, Tineke!! I am slow - but slow and steady! !